as part of our Mentorship program. 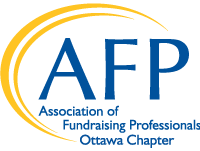 Help the AFP Mentorship Committee support the program by completing an evaluation form at the end of the match term. For more information, read the full Memorandum of Commitment here or contact the Mentorship Committee at afpottawa.mentorship@gmail.com.